Finding the right shoelace for that special occasion is never easy. You want class, you want sophistication. But you also want your feet to be eye-catching, to make an impact. That balance is difficult to find. One question: have you considered gold? There’s a reason why gold has been a precious obsession for us mortals since time began. It’s all about glitz, glamour and luxury - those goodish things we tend to aspire to. A touch of gold on your outfit is enough to take it to the next level. 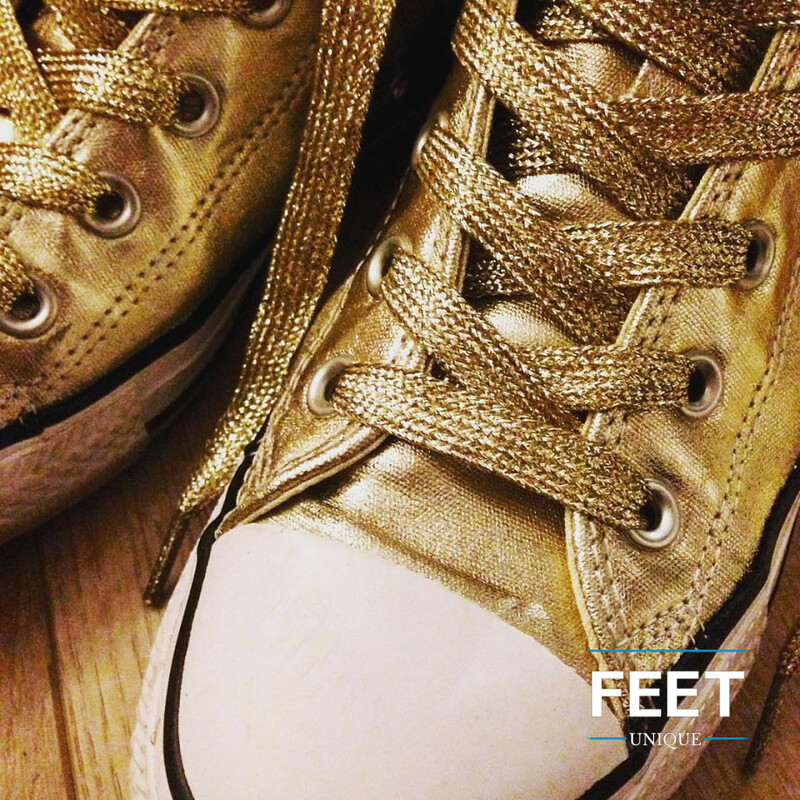 Your feet will feel like royalty. All of this explains why we decided to blend gold into our metallic gold shoelaces. It’s like giving your trainers a glass of champagne. Spoil them. They won’t forget it. Apart from all of the obvious upsides, there’s one downside of gold that has been true for centuries: you see it, you want it. So don’t be surprised when your friends and family start casting envious glances towards your feet. You might have to hire security to watch your back and invest in some kind of vault to keep your laces secure. But it’s a price worth paying. So it’s simple. Invest in a pair of our gold laces today and you won’t be disappointed. 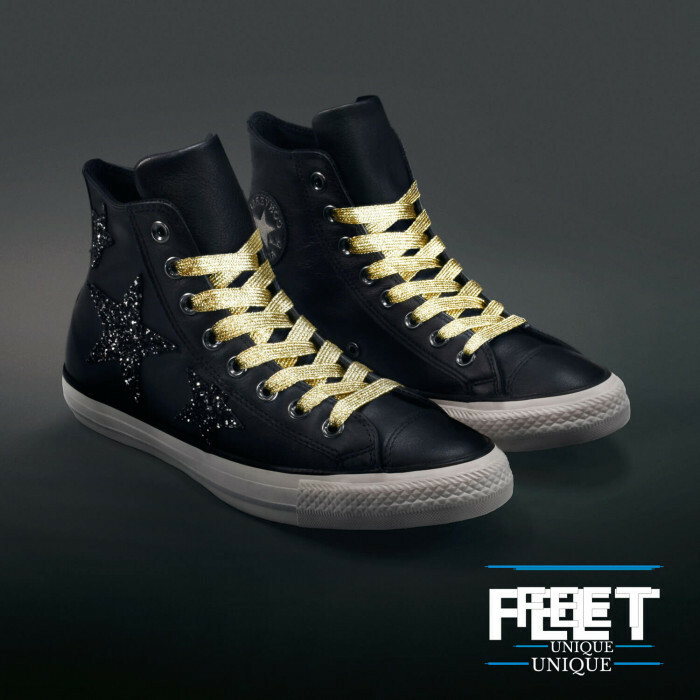 Try them with black or white trainers to add an elegant, sparkly finish to your evening outfit.